In 1972, when Mr Frederick Brooks' wife Grace started to find the stairs that little bit difficult due to her rheumatoid arthritis, Mr Brooks decided to design a stairlift for her. Using high standards of engineering, quality and style gained from his background as an engineer for Daimler, Brooks attracted much attention. Word soon spread of Britain's first stairlift, and before long people with mobility difficulties and even health professionals from all over Britain were calling on Fred Brooks to commission their own stairlifts. 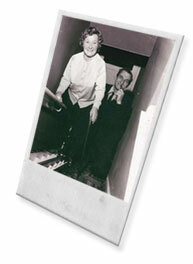 In 1973, the Fred Brooks Stairlift Company was formed in Camberley, Surrey. This followed the growing interest in the invention, particularly from local councils. The first lift was called the Mk1. Following this, the second model, the MkII, came out around 1975. At this time, production was split between Lincoln, where the motors were assembled, and Camberley, where the rest was made. These two models of stairlift featured a motor at the top of the stairs which pulled the chair up by a nylon rope! 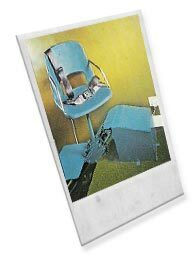 Around 1977 came the Deluxe: the first Brooks stairlift to be wire rope hauled. In 1979, the First British Standard for stairlifts was put into place to avoid the industry getting a poor safety record. Brooks Stairlifts successfully incorporated this standard into their work. Around 1980, growth was such that it made economic sense to consolidate production, and the first dedicated factory unit was set up on Nash Lane in Lincoln. In line with this came the Premier - a basic stairlift, very slim line and with a fixed rather than swivel seat - and the Elite, with a swivel seat. Both featured essential safety features to comply with the new British Standard. Around 1987, Brooks launched the Supreme; the first Brooks stairlift to carry the motor on the chassis as all conventional stairlifts do today. The Supreme was also the first chain-driven Brooks stairlift. Business was booming and Brooks moved to the well-known Westminster site in North Hykeham at this time. The current British standard BS5776 came into force in 1996 and to comply with this, by 1997 Brooks developed the Lincoln. It was originally an AC lift, and for its last year of production (2001) was available with battery (DC) power. During 2001, the 'New' Lincoln was developed combining the benefits of new technologies and improved reliability, with the traditional appearance and functionality of the original Lincoln. Sadly, it was no longer viable to run the operation in Lincoln and in the latter part of 2001, the business relocated to West Yorkshire. Brooks have had over 30 years' experience of manufacturing stairlifts, and you can benefit from that experience by dealing directly with Brooks Stairlifts. and GET A FREE QUOTE from one of our team!